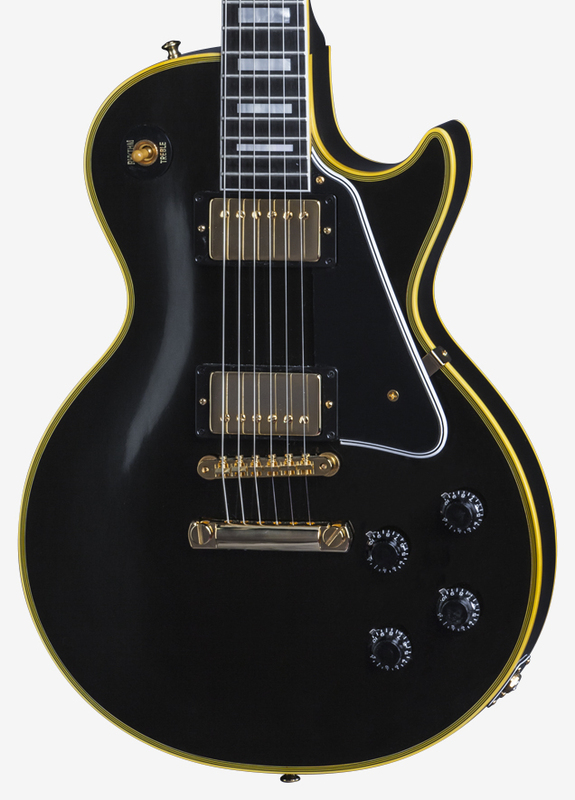 Gibson.com: True Historic 1957 Les Paul Custom "Black Beauty"
True Historic 1957 Les Paul Custom "Black Beauty"
Fanatic new levels of detail accuracy reveal a vintage Les Paul Custom like never before, including period-correct plastics, wet-sanded nitro finish, mind-blowing playing feel and Custom Bucker tone. 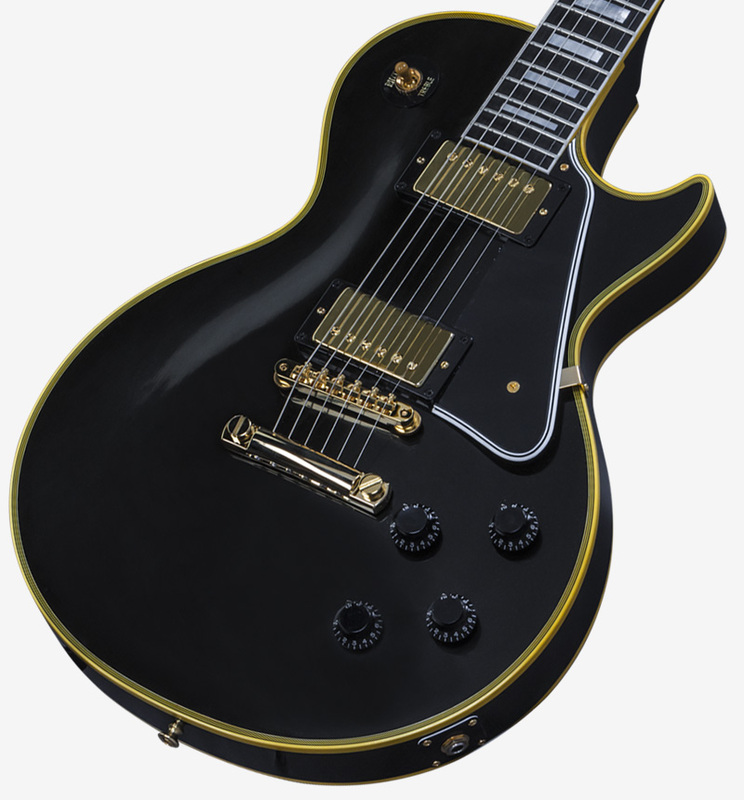 Molecular-Level Analysis Delivers the Look, Feel and Tone of a Real "Black Beauty"
Among all the advances made since the Historic program was initiated in 1993, nothing represents the kind of quantum leap forward of the new 2015 True Historic range. 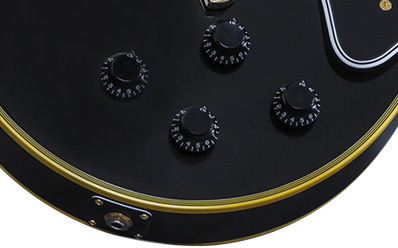 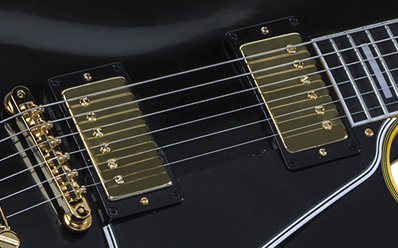 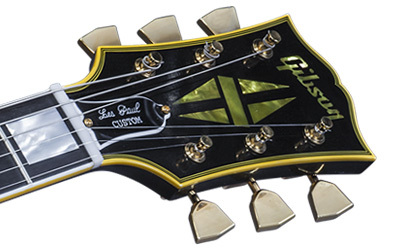 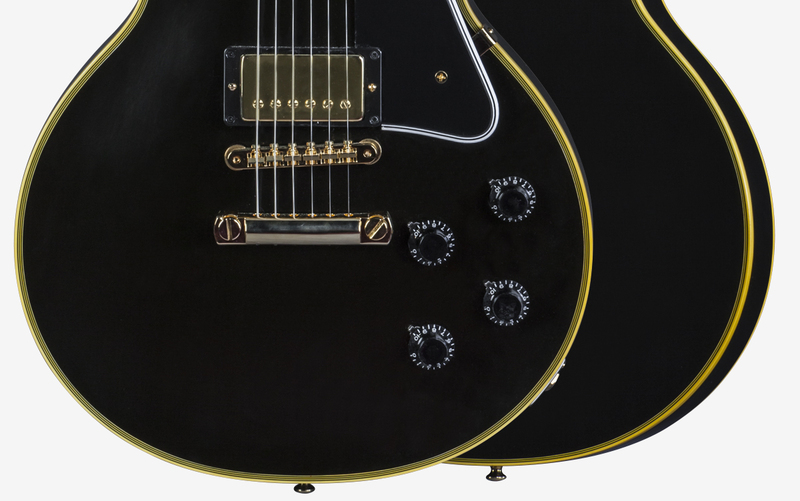 Fanatic new levels of detail accuracy have inspired a total re-tooling and re-training at Gibson Custom, delivering the authentic ownership experience that places the beauty, feel, and tone of an original 1950s Gibson in your hands. 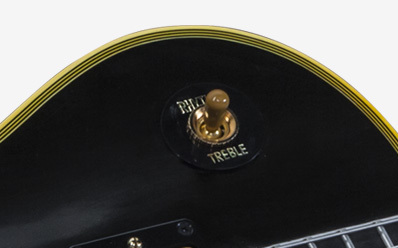 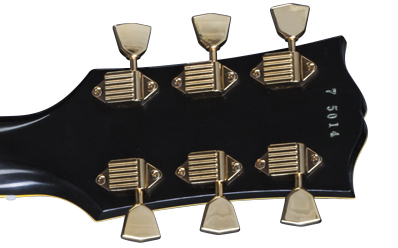 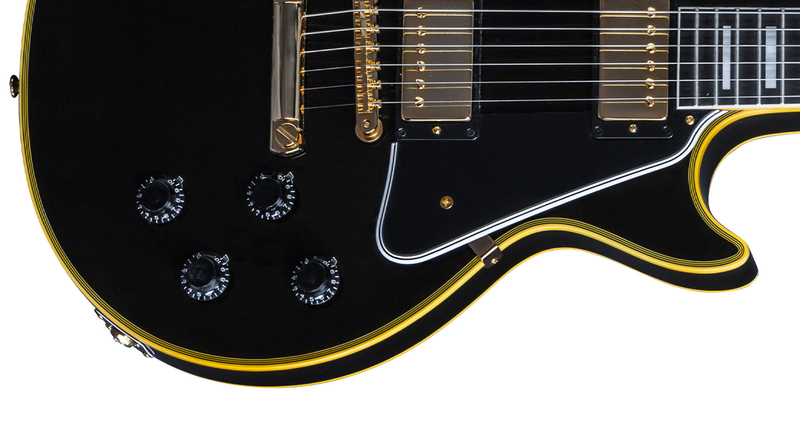 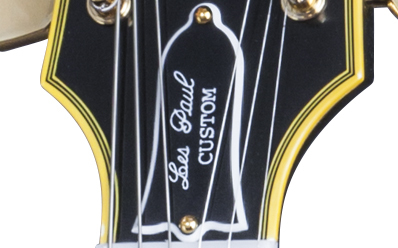 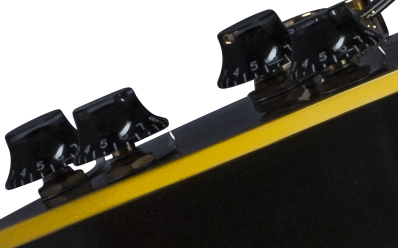 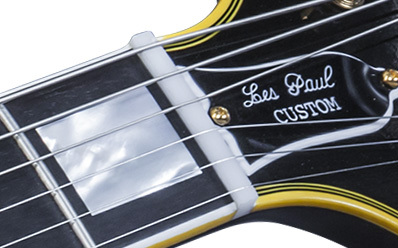 Produced in very limited numbers, the True Historic 1957 Les Paul Custom benefits from molecular-level analysis of original vintage plastics to achieve uncanny precision in its characteristic multi-ply binding, inlays and appointments. 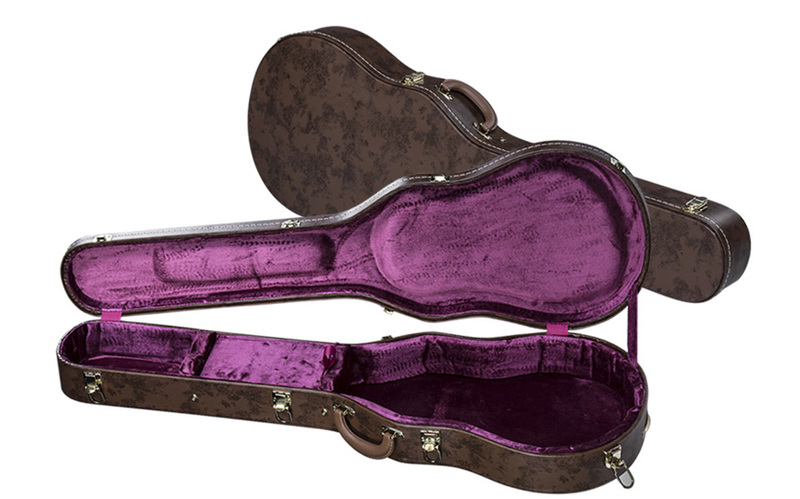 A double-carved and hand-sanded top and neck, hand wet-sanded finish, hand-filed rolled fingerboard binding and other exacting details bring you closer to the real thing than ever before. 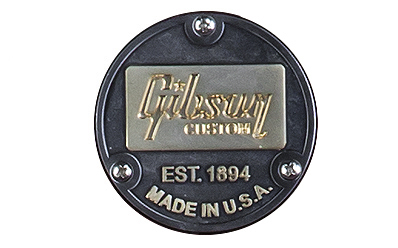 Style: True Historic-Hot Stamped "Custom"